Well isn’t this just depressing. End of Nations, an in-development RTS turned MOBA developed by Trion Worlds has quietly shutdown the End of Nations website and all mention of the title has been completely removed from Trion’s official site. 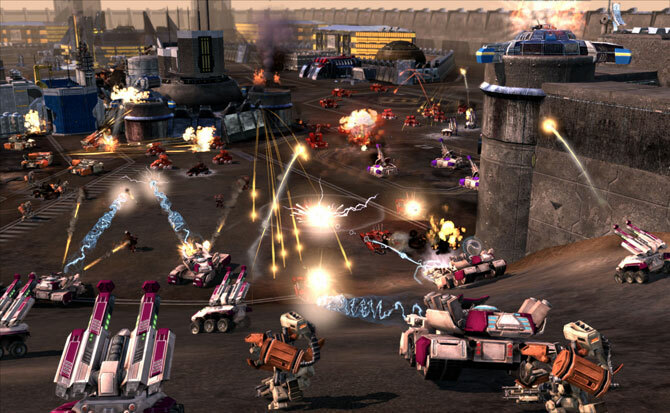 Originally launched into closed alpha in early 2011, the Free-to-Play End of Nations wowed potential fans with promises of large-scale RTS battles with up to a hundred players and thousands of units battling it out for supremacy. However, after several development setbacks, layoffs, and the transfer of development duties from Petroglyph Games to Trion, End of Nations future seemed bleak. Shortly after Trion took over development, the studio announced End of Nations would be re-purposed as a MOBA with a max of four players on each side. We’ve reached out on our own to Trion for any more information they can provide. As we informed EON’s community last fall, internal development on End of Nations was put on hold in late 2013 while we evaluated potential paths forward for the title. We’re currently focusing the company’s energy and creativity on Rift, Defiance, Trove, ArcheAge, and some new projects we’ll be revealing soon. Trove is more important than End of Nations? What is this? O_O Just another minecraft-blockbullshit. Someone better answer the phone because I FREAKING CALLED IT! Oh what the hell…first Generals 2, now End of Nations. Bs -.- Dissapointed. They just don’t have time for everything, especially not for a moba with uncertain future. It was wise to throw already thin resources from EN to elsewhere instead. That’s pretty odd, they just had a “technical test” this weekend, kind of similar to what Strife had where you could win full access to the Beta, they even announced the winners on their twitter page. I guess not enough people joined in. ooops, sorry I was thinking of Endwar, I actually liked End of Nations better than Endwar, but I played it a long time ago, so I’m not sure what the game was like recently. I guess it we should have seen this coming, there had been too many set backs already. I dont know what the deal was, but i played the CB when it was a RTS? lol. And the game was totaly amazing. Well RIP. That’s a shame, and also a bit odd considering the game seemed to be much further along than Command and Conquer was for example. I suppose the RTS genre is harder to transfer to the F2P model while avoiding potential P2W issues.